"Usually cast as a President defined by his failure to contain the Great Depression, Hoover's story is far more complex and more interesting. To begin with, Hoover was an activist reformer, albeit one without the political skills needed to sell himself and his programs to Congress and the public. A shy man, he insisted on keeping much of his life and good deeds out of the public eye. Only in politics is this a character flaw, yet it prevented those around Hoover from portraying him as a compassionate leader, or warding off portrayals of him as a cold, uncaring figure responsible for nearly everything that was going wrong in the American economy. It began when Calvin Coolidge chose not to run for a second term in 1928. Hoover, then secretary of commerce (and joked Washington wags, "assistant secretary of everything else") made no secret of his interest in succeeding Coolidge. Few men seemed so prepared for the nation's highest office. After all, he had fed Belgium, run the U.S. Food Administration for Woodrow Wilson, revolutionized the Department of Commerce, and ministered to victims of the Mississippi River flood. More realistic than Woodrow Wilson, more respectable than Warren Harding, more imaginative than Calvin Coolidge, Hoover appeared an ideal candidate. Few Americans asked whether the Great Engineer had a political temperament." Intensive cluster of graha in tanusthana-11 focuses the personality into activities of bhava 1 + 2 + 3 + 5 + 10 + 12. He was a busy man, always moving (Kuja) always decision-making (Surya) always considering the needs of the common folk (Chandra) and always talking (Budha). What happened to The Great Engineer? 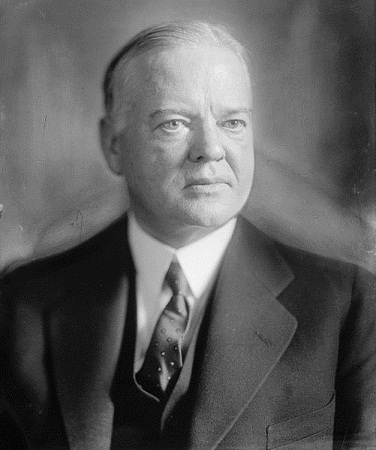 Hoover is generally ranked among the worst-performing presidents by historians and economists. Any of the general public old enough to remember or have heard stories of the Great Depression tend to disparage his name. The primary complaint is that he did not act when there was still time to act. Nichha-Zukra mahadasha + Shani bhukti apparently paralyzed him. Shani does not act. Shani resists action. The second complaint is that despite his widely documented 3xecutive abilities, a resentful blaming Hoover declined to accept any governance roles under POTUS-32 or POTUS-33. Thus a highly able leader stubbornly refused to help a nation in need during nearly 20 years of self-exile. at the peak of his capabilities. The third complaint is that Hoover became a rogue broadcaster promoting the Nazi regime of Germany-Nazi 1889-1945 Reichskanzler Adolf Hitler as an effective tool against communism while relentlessly attacking POTUS-32 Fireside Chats 1882-1945 Franklin D. Roosevelt. 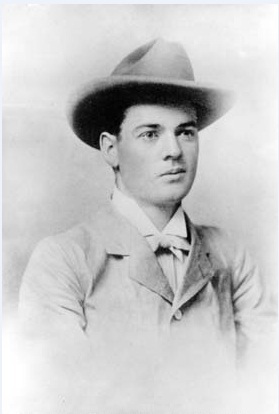 Hoover might have suffered from Borderline personality disorder associated with the tragic early deaths of his parents. Surya radiates in Karkata-1caretaking yet constrained by an almost equally strong Shani-Makara-7 = legal limits, governance, bureaucracy. This same Shani opposes his Chandra in Pushyami , indicating a deeply loyal and governing mate. Chandra-Karkata = patriotic and parental. Yet the personal attachment to security and comfort may be constrained by regulating, contract-bound Makara Shani's overarching concern for the social law and social order. 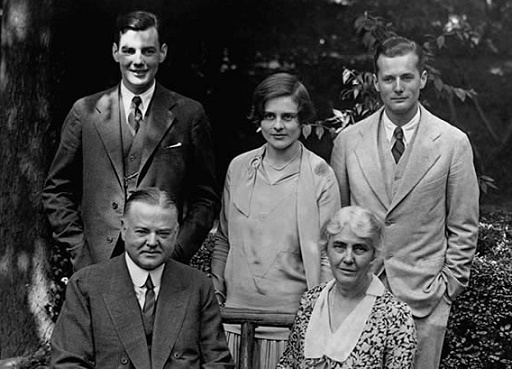 Shani-Makara in 7th-from-Chandra represents Hoover's primary advisers, including his remarkable wife Lou Henry, who were generally conservative in their counsel. 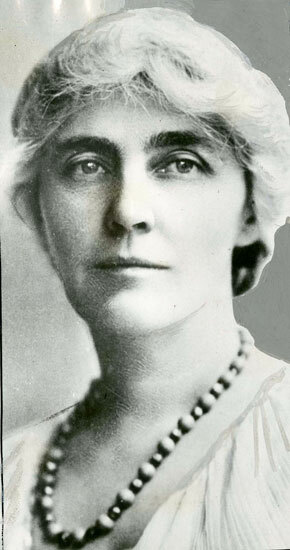 Also bhava-5 represents the redoubtable Lou Henry Hoover = 3rd-from-3rd publications. Hoover himself has no graha in bhava-3 yet he is purportedly the author of more than 30 books including detailed translations from other languages. With his Ketu-2 is rather unlikely that he would have dedicated the time needed to produce painstaking translations. It is more likely that the majority author of most of his literary works is actually Mrs. Hoover. Pushya-Mangala-mutual aspect to change-resistant Shravana-Shani. Mangala is prevented from moving forward as quickly as desired. Lawful restraint. Mangala ruler of 8 and 8th-from-8 is a notoriously challenging agent for the Kanya nativity. Hoover's Kuja is not only nichha, but also Kuja is paired with hostile Budha. Kuja is also suffering the ashtagata-dosha so that Kuja's outgoing energy rays are crippled by the self-righteous forces of politics and drama (burned by Surya). Before 1929, Hoover enjoyed 20 smooth years of Zukra Mahadasha. Involved in high-profile programs like food distribution in war-torn Europe, Hoover was very busy, very visible, and due to his investments in international mining operations, also very wealthy. He was known as The Great Engineer. His reputation, crafted by political spinners but also based in a solid record of measurable achievements, was framed as a career of bold innovation and exploration (Mangala) mixed with business skill (Budha) patriotism (Chandra) and alpha-male leadership (Surya). Rahu-8 in 10th-from the Karkata-11 complex provides the ambition albeit Rahu is controlled by Mangala and Mangala is nichha. Mahadasha of Azlesa-Surya expresses nichha Kuja rules 3-8 and Rahu-8. The upheaval was violent and bitter. At his age 56, during Surya-Mangala-nichha bhukti, gochara Rahu transited into Meza-8, signaling the Rahu-Return craving for emergencies and upheaval. The Great Depression had started with apparently no warning and the nation was suddenly gripped by uncontrollable terror of starvation and social collapse. Surya rules 12-invisibility. Kuja rules 8 and 8th-from-8. Shani rules 6. The Surya-Surya, Surya-Mangala, and Surya-Rahu bhuktis were the worst. While many called for aggressive economic interventions, Hoover took sanctuary (12). Surya Mahadasha 1930-1936 was was lethargic (12, sleep). As gochara Shani moved into Makara-5 in Apr-1931 (Shani-5 stiff resistance to political charm) the nation went from boom to bust . The markets swung up and down, recovering somewhat in early 1930 only to crash again, with worldwide financial depression evident by the lowest part of the collapse in June 1932 during Surya-Rahu. Folks were overcome with despair. During Surya-Kuja and Surya-Rahu, Hooverville slums full of destitute unemployed arose near every town and city. In the eyes of many, Hoover bore personal responsibility for the spiraling economic (11) crisis of the Great Depression and the colossal scale of misery that it brought. He was blamed and accused - nichha-Mangala, nichha-Zukra. Even after he lost re-election, Hoover retaliated twith a seven-year volley of vitriolic attack upon the policies and character of POTUS-32 Fireside Chats 1882-1945 Franklin D. Roosevelt and his New Deal safety-net program. Rather than admit the scope of the problem and suggest solutions, Hoover criticized, complained, and defended his failed actions while aggressively defaming the New Deal domestic antipoverty aid programs as socialist and communist in motive. Formerly a shining star, The Great Engineer was ostracized from government for seven years. Surya mahadasha transitioned into Chandra Mahadasha in 1936 when Hoover was still a young 62. A man of striking organizational ability who could have been an elite leader during the economic recovery deployment and subsequent buildup to WW-2, Hoover was instead a man-without-portfolio in the USA government during 1932-1939. He was granted no authority. When invited to advise working committees, he refused. Instead, under influence of the nichha-combust-randhresha Kuja, and Surya ruling 12 foreign lands, Hoover traveled to Germany independently, socialized with Germany-Nazi 1889-1945 ny-Nazi 1889-1945 Reichskanzler Adolf Hitler and his colleagues, and broadcast forceful radio speeches claiming that the Nazi regime and the Stalinist regime should fight it out between themselves. USA intervention in Europe's problem (including the holocaust atrocities) was in Hoover's view unjustified. Any USA alliance with Russ-Soviet 1878-1953 Man-of-Steel Josef Stalin would open the floodgates, spilling the demonic horrors of anti-democratic communism throughout the world. Famous for his lifelong commitment to children. Kanya-lagna = the emotionally motivated communicative cohort evangelical instructional team-working administrative managerial announcing publishing reporting explanatory conversational lyrical messaging 3rd-from-Chandra and 3rd-from Budha. Hoover was a master manager, skilled in book-writing, business planning, team-work, meetings, and frequent travels. Indicates journalism, historical and technical writings. Hoover published more than 30 books. Hoover was a genius of management and supply-chain logistics. He could and did efficiently move billions of tons of food, tens of thousands of low-wage workers, and countless shipments of mining materials around the world. Hoover's relief efforts during the era of World War I attracted national attention. The helpless, bereaved, abandoned people (Kanya) could count on his aid, though others had not always aided him. Brihaspati-yuti-Zukra in the emotionally motivated communicative cohort evangelical instructional team-working administrative managerial announcing publishing reporting explanatory conversational lyrical messaging 3rd-from-Chandra * Hoover co-authored more than 30 books with his wife Lou Henry Hoover. Modern historians suspect that Lou did most of the writing, but Herbert Hoover was almost as well-known for his publications as he was for holding leadership roles. Herbert Hoover enjoyed the help of his elder brother Theodore throughout life especially in developing the zinc recovery process. close emotional relationship and fleshly resemblance (Zukra-1) between Herbert Hoover and his elder brother. During Zukra mahadasha age 36-56, due partly to the extreme reticence of a grieving and dysfunctional POTUS-30 Price of Freedom 1872-1933 Calvin Coolidge, Mr. Hoover becomes "the most visible man in Government"
He was an iconic, socially admired figure representing the very best of his citizen class: scientifically educated, financially successful, and dedicated to better government through application of tested, innovative processes. USA Secretary of Commerce. Newspaper wags referred to Hoover as Secy of Commerce and Assistant Secy of Everything Else. Professor Budha lagnesha karmesha rules 10th navamsha containing Rahu-yuti-Shani and Rahu occupies the emotionally motivated, social-ordering, leadership-seeking; 10th-from-Chandraa. Hoover had built up a tremendous reputation for successful management of large operations, and in the Nov-1928 election he enjoyed a massive landslide win. Perceived as the very icon of farm values, hands-on management, and moral integrity, Hoover started office in March, 1929. In a time of flaunting luxury, ostentatious displays of wealth, and notorious lifestyle excess of the 'rentier' class, Hoover was elected on a platform of reducing government waste. The political evangelists proclaimed his proven ability to handle large-scale life sustenance. Having brought food, clothing, and shelter (Chandra) to starving Europeans devastated by World-War-1, and having operated several highly profitable international businesses, Hoover seemed (Chandra, intuitions) able to fix America's ongoing poverty problems. Zukra has plusses and minuses. In lagna, nichha Zukra benefits the personal wealth and grants a genetically pale complexion. Kendra-adhi-pati Guru brings large-scale (Guru) problems (Kanya) with wealth-treasuries in the forms of banking (2) and ideology (9). Less than eight months after he took office in March-1929, Black Tuesday struck and the Great Depression started. Faced with the huge scope (Guru) of the poverty and debt Guru-Kanya in the context of widespread (Guru) financial disaster Zukra-Kanya, Hoover in the most exhausted of all Ketu bhuktis -- the chidradasha of Zukra mahadasha - DID NOTHING. Stubborn and lacked negotiation skills. Refused to admit that the financial manipulators had acted illegally. Shani also rules-Kumbha 8 making Hoover beholden to undisclosed parties in the economic system. Shani in 7th-from-Chandra indicates loyalty between the spousal parties. Shani strong ruler of 3rd-from-3rd. Herbert Hoover wrote and published dozens of books in policy policy, governance, economics and mining. A few are still used in college courses today. 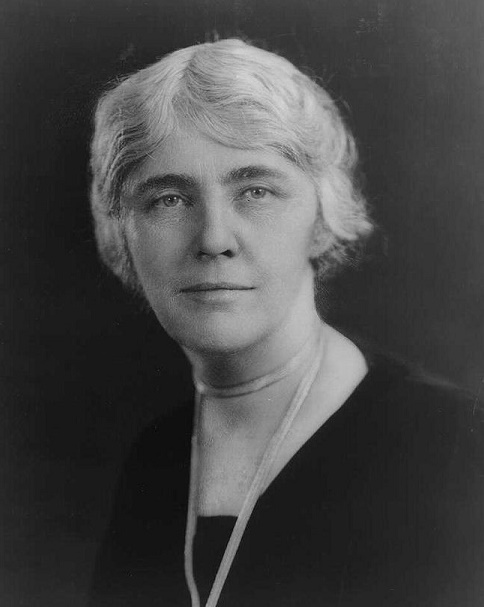 Mrs. Lou Henry Hoover was a capable writer and translator (her chandra-3). She likely did most of the work on Hoover's earlier books. Shani in 7th-from-Chandra wife. Rahu in bhava-8 * passion for secrets * in swabhava of Competitive Kuja, the Shadowy Specter seeks privilege via glamorous or unusual secrets, recycling, rebirth, reinvention; rejuvenation. The Chandala in 8 desires a special, important, therapeutic role in transformative, hidden knowledge, confidential, revolutionary, catastrophic role. May be the secretary (secret-keeper) of a powerful individual or group. Opportunistic in-laws, inheritance, alimonies. Exciting, ambitious family of the lifepartner (in-laws). Rahu-8 trespasses the cultural boundaries of undisclosed assets, dangerous secrets, emergency situations. Rahu the Poseur may pose as a tantric initiator, disaster manager, keeper of dangerous secrets, identity-changing healer, or holder of secret empowerments. The stock market crash of 1929 and the sudden impoverishment of millions of Americans happened under Hoover's watch. 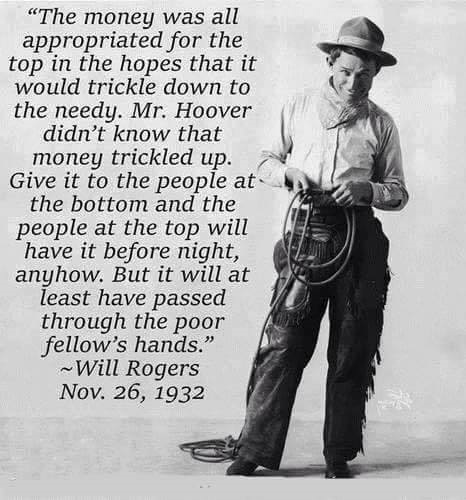 Curiously, his own financial standing was not afflicted by the Great Depression. Hoover's later dislike of large inheritances also suggests the experience of being left on his own. Hoover made his fortune outside the US where he was a unique and fascinating figure. Likely he was more familiar with the "ex-pat" artificially dramatized "trickster" version of the American ex-pat engineer and explorer (Kuja). His own people (genetics- 2) rather bewildered him. Hoover demonstrated dramatic and much-praised success for his "can-do" (Rahu-Mesha doing, doer) innovative and dynamic approach to feeding the war victims. His method was not transparent (Rahu-8 secrets) and he would not discuss what would be done but he was willing to explain what had been done (Shani). Hoover's specialty in leadership was management and communications (Mithunaya 10th navamsha). He was an instructor, describer, explainer. He easily gained institutional authority and public responsibility. Ketu in bhava-2 tends to dissolve the family lineage r and disperse the historic, genetic values in favor of the radical new beginnings of Rahu-Mesha-8. Hoover's parents died during his childhood and he wandered through the homes of relatives but never stayed in one family for long As an adult he was a peripatetic figure. Historians generally judge Hoover to have failed miserably in his responsibility to protect the US economyDespite the previous show of charity and compassion for European war victims, Hoover essentially ignored the suffering of the American masses, asserted that Americans needed to call upon their own resources without relying on the government, and blamed the victim Zukra-Kanya insinuating that Americans were weak and complaining. For Saptarishi births of a feminine valence, the condition of prosperous, preaching, inclusive, broad-scope, philosophical, humanistic Guru may considerably affect the outcome. Due to the definitive influence of dhava-karaka Guru, ladies born in Puna, Visaka, or Purvabhadra may find that their worldview is greatly shaped by the character of the husband. For those born into the paradigm of Jamitra, teachers, preachers, professors, patrons, agents of generosity and guidance, guru-figures, ideologues, indoctrinators, theorists, know-it-alls, proselytes, philosophers, pontificators, patriarchs, pundits, pater-nosters, proponents of principled understanding, wise-ones, wizards, druids, and paradigms of belief may be especially influential.. Guidance is provided by emissaries from the realm of the Twin Gardeners called Castor-and-Pollux. Their purpose is restoration, renewal, and rehabilitation of lost knowledge..
Mithunaya pada 1-2-3 represent Guru's rulership of 7-agreements ++ 10-leadership, while also expressing the tension between broad-view Brihaspati versus detail-oriented Bantering Budha. Pada 1-2-3 are blessed with an expansive human wisdom for evocative writing or speaking. Often excellent writers who can facilitate spiritual growth via specific explanation and description. Pada 1-2-3 are often found in the literary arts, in teaching roles, in academic advising, as travel guides, and as poets who describe the natural world. Karkata-pada-4 represents Guru's rulership of 6-imbalance ++ 9-philosophy. Pada-4 also embodies the tension between global, paternalistic Guru versus local, motherly Chandra. Often these remarkable women are found in the gardening and domestic realms. Natural herbal physicians, they understand and can elicit the wisdom of the mineral, plant, and animal kingdoms. Pada-4 may also emerge into the religious professions where they may grow a garden of psycho-intuitive understanding. Although the priestly husband seeks wisdom, for Karkata-Punarvasu the husband may also be adversarial, polluted, impoverished, or ailing (due to Guru rules 6). "... will be successful in everything she undertakes. she will become very well known and highly respected. and her domestic life will be most happy . and insists on beautiful and harmonious surroundings for herself and family. and must be careful in her diet." 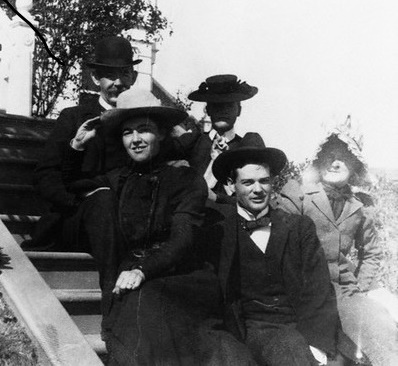 10-Feb-1899 Lou Henry and Herbert Hoover marriage at the home of Lou's parents, in Monterey California. She was 25 and he was 24. Lou Henry Hoover, photographed by Edward Steichen for the 11-May-1929 cover of VOGUE magazine. Her age 55, Shani Return, Rahu-Zukra bhukti. Her husband's POTUS-31 assignment had just started in March-1929, and Lou's radiant Zukra-Meena-10 yuti Surya-10 had brought her to the peak of public exposure..
Rahu in bhava-11 * in Roguish Rahu's swabhava co-ruled with Sober Shani ,* the Shadowy Specter seeks privilege via glamorous or unusual social goals and economic attainments. Desires a special, important, linkage role in social participation and financial networks. Exciting, opportunistic, ambitious friends. Craves profit and gain. Thrives in culturally-mixed commodity-exchange systems. Rahu the Poseur may pose as a friend, a voluntary linker, an economic achiever, a relative of the father's people. Bhava-11 profits, revenue, connections = a highly successful environment for boundary-breeching, risk-rewarding Rahu. Brihaspati-yuti-Zukra nichha is also problematic for relationships with women. Yet Guru-Zukra are holding excellent positions in navamsha-4 Meena suggesting that life-partner-1 is a person of artistic and spiritual character who may be deeply forgiving of the male native's additional interests. 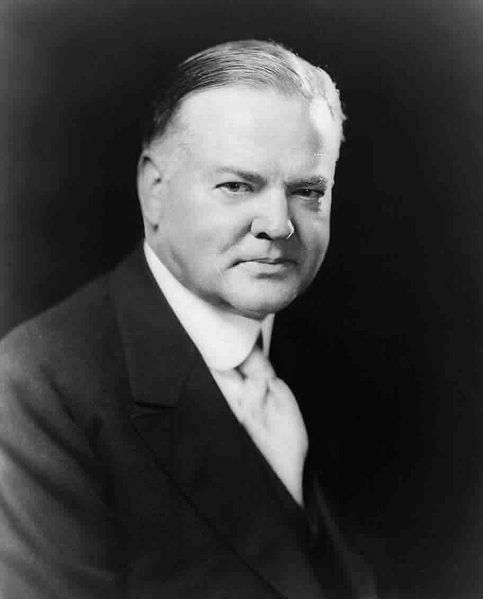 Herbert Hoover was a devout Quaker in private practice and a vigorous exponent of Quaker principles in public life. Hoover worked most days of his life from morning until night. His primary expression of Quaker belief was the sober lifestyle which undergirded his extraordinary work ethic. during the USA Great Depression, Shani-9 caused his downfall in the USA presidency. Rigid refusal to change his doctrinaire free-market ideology (Shani-Vrizabha = cintamani * mani * money -policies) forced him into the role of the dogmatic preacher. Whilst economic collapse deepened and desperate poverty spread throughout the nation on an unprecedented scale, Hoover continued to preach the message of saving and self-reliance. Loud calls for government safety-net assistance to the growing underclass were ignored; hobo camps called Hoovervilles showed the contempt Americans felt for their uncaring president. Hoover was wiped out by the landslide victory of POTUS-32 Fireside Chats 1882-1945 Franklin D. Roosevelt . True to FDR's Shani-8, FDR immediately passed emergency laws Shani-8 using pooled funds (8, tax monies) to structure government work programs (Shani) for millions. Hoover was a prolific author of engineering books, and considered a high academic authority in that emerging scientific field. Speaking was hard for Hoover, and being before a crowd was an ordeal. He seemed stiff and monotonous before big crowds, and he was shy with strangers. Exceptionally wealthy via speculative investments in minerals and mining, specialist in famine avoidance and food distribution challenges. Mines and metallurgy; food and farming; government efficiency and volunteer organizations; Quaker morality (nichha-Zukra, quietude). Hoover was a brilliant man, a renowned author, and a highly accomplished business entrepreneur. Nevertheless he completely lost the public confidence . His economic policies -- based on elaborate principled arguments for the corrective effects of free markets -- did not adapt to the new fact that the economy did not self-correct during the Great Depression. Would not join Stanford fraternities nor allow his sons to join any. A great deal of ocean travel. Extremely good at mining ventures , finding great supplies of mineral resource -- everything from gold and precious stones to coal and oil. Became a very financially privileged man, starting with the barter = move out of the Chinese coal company rights for move into a partnership in the London co.
By 1914, Hoover, operating on his own since 1907, had important investments on every continent and offices in San Francisco, London, Saint Petersburg, and Mandalay. Once he remarked that if a man "has not made a million dollars by the time he is forty he is not worth much." Hoover was worth about $4 million at the beginning of World War I. Under both POTUS-29 Teapot Dome 1865-1923 Warren G. Harding and POTUS-30 Price of Freedom 1872-1933 Calvin Coolidge , Herbert Hoover became the most visible man in government.